Find out all about the history of the Vikings, the warriors and explorers who raided Europe in their longships throughout the Middle Ages. Learn about Viking warfare, their families, homes, clothes, and crafts, as well as gods from Norse mythology, such as Thor and Loki, in this beautifully illustrated children's book that is crammed with amazing facts. Part of the award-winning DK findout! series, this engaging book includes new photography and illustrations that transport children directly into the world of the Vikings. Written by experts in Viking history, and checked by an educational consultant, DK findout! 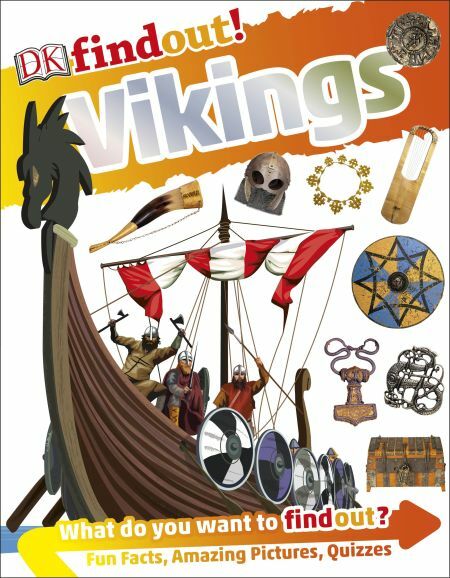 Vikings is ideal for school projects or for children who simply love to learn about accurate ancient history.